As for all who got high score we say congratulations, as for those who didn’t perform well due to one reason or the other we believe that with much preparation in 2019 JAMB you will do better. 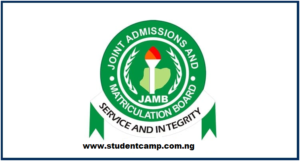 Student camp is here to give you information concerning the release of JAMB results, news about your desired institutions, and also the cutoff mark of all institution. NOTE: drop your Registration number so that we can help you check your results once it is released on 19th march 2018. Origin:	GUJBA in Yobe State. Origin:	DEKINA in Kogi State. Origin:	OFU in Kogi State. Origin:	IREPODUN in Kwara State. Kindly check and send my result. Origin:	IRELE in Ondo State. Centre Name:	Etc Centre, Obakekere, Federal University Of Technology, Akure. Ondo State. Origin:	EHIME-MBANO in Imo State. Centre Name:	Apexx-Bizz-Tech., Community Secondary School, Amuzi, Off Nkwogwu Junction, Ahiazu Mbaise, Imo State. Origin:	OKIRIKA in Rivers State. Origin:	GWER-WEST in Benue State. Origin:	BILLIRI in Gombe State. Origin:	MOBA in Ekiti State. Origin:	ORIADE in Osun State. Origin:	CHANCHAGA in Niger State.